Already listed with our Phuket apartments directory? 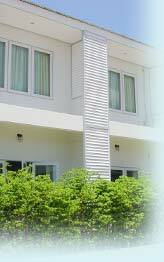 A famous Patong area in Phuket offers rental apartments for your holiday in Phuket with a reasonable price. Choose a standard rental apartment in Phuket around Patong area to make your everyday is the best day in Phuket. Anchalee Inn is fully unique location, the meaning of welcoming warmth and comfort, Located in the Patong Beach area of Phuket Island. BYD Lofts offer the ultimate hip and chic serviced apartments to spoil yourself or let someone else spoil you. Set a dazzling new trend for your future lifestyle whether for a short holiday or long term rental. Jardin Ross is a boutique apartment located in the heart of hectic Patong, Phuket. Providing fully-equipped room with privacy and comfort are of the most concern. Phuket Game Mansion is fully unique location, the meaning of welcoming warmth comfort and safety. Residence Edouard service apartment located in the heart of Patong, near shopping spots and restaurants. Apartment offers a 1 or 2 bedrooms which kitchen space and private balcony affording view of Patong City, sea and lush greenery hills.